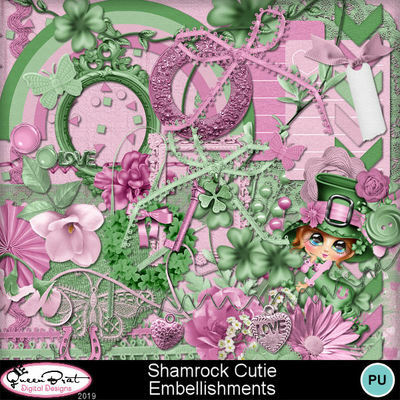 Embellishment pack from Shamrock Cutie. A girly pink and green St. Patrick's day kit with a cute female leprechaun. An excellent kit to add to your holiday collection for those special projects.